Doolin Glamping was established on the grounds of O’Connor’s Riverside Caravan and Camping Park in 2014, we strive to offer our guests a unique alternative to the standard forms of accommodation in the area. We blend the experience of being in the outdoors and being one with nature while still hanging on to most of the luxuries of home. 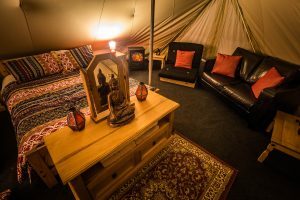 Glamping is defined as a form of camping involving accommodation and facilities more luxurious than those associated with traditional camping. This is certainly the case here at Doolin Glamping. 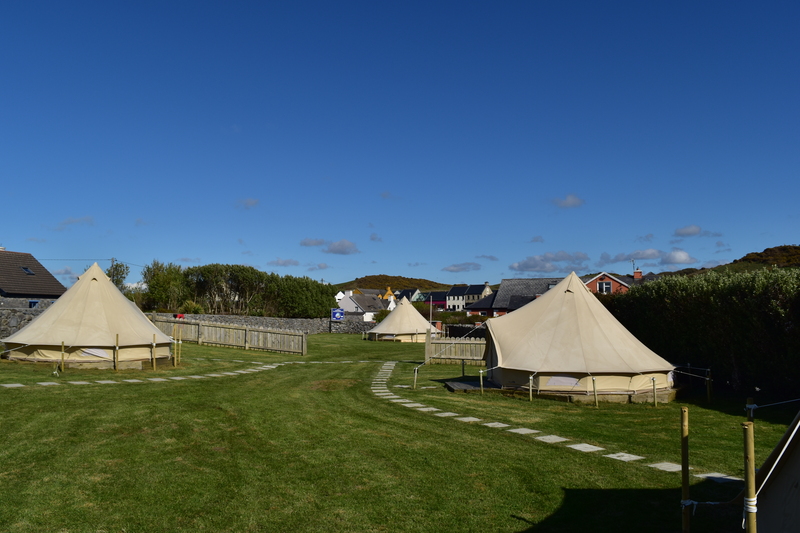 We provide a unique experience for families with kids to spend quality time together under a canvas roof. Lasting memories are guaranteed to be gained as mum or dad tell stories while the kids slowly cook marshmallows around the campfire. On the other hand, we wanted to be able to provide accommodation designed for couples or an adult retreat, where 2-6 adults can sleep in comfort. Whether a romantic getaway is needed or time to chill out with good friends, all can be accommodated. 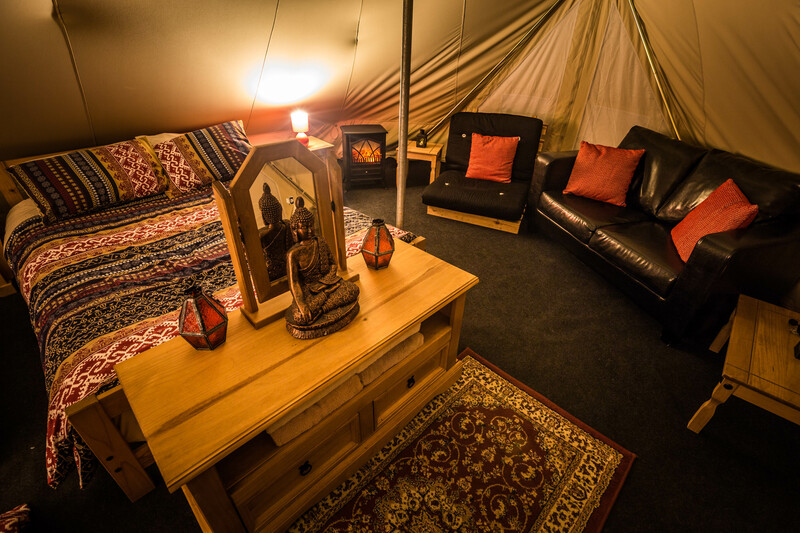 With this in mind we started to source our luxurious bell tents in 2014 and as the project grew in popularity we have expanded to include a luxurious Mongolian Yurt, a native American Indian Tipi, and a vintage caravan.